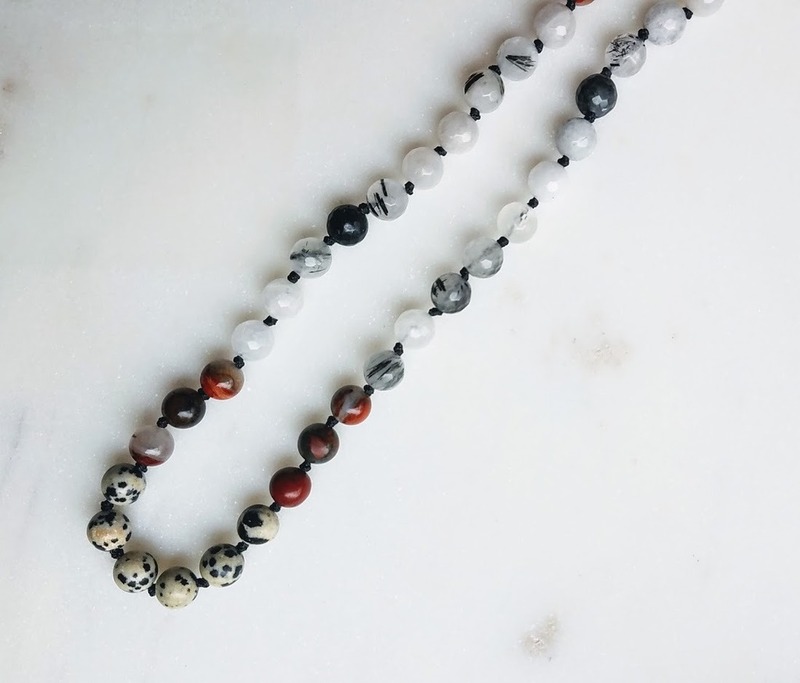 AA Gemstones hand knotted on sturdy black nylon cord. 72 beads drops over the head. 73rd bead is wood and considered a 'creator' bead anchoring the full strand. Double tied for strength. 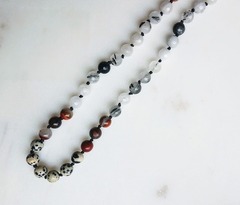 This is 26-28" necklace, unisex, and vegan. Tourmilated Quartz is clear or white quartz which has pieces of Green or Black Tourmaline within it. These quartz crystals have strong metaphysical properties. 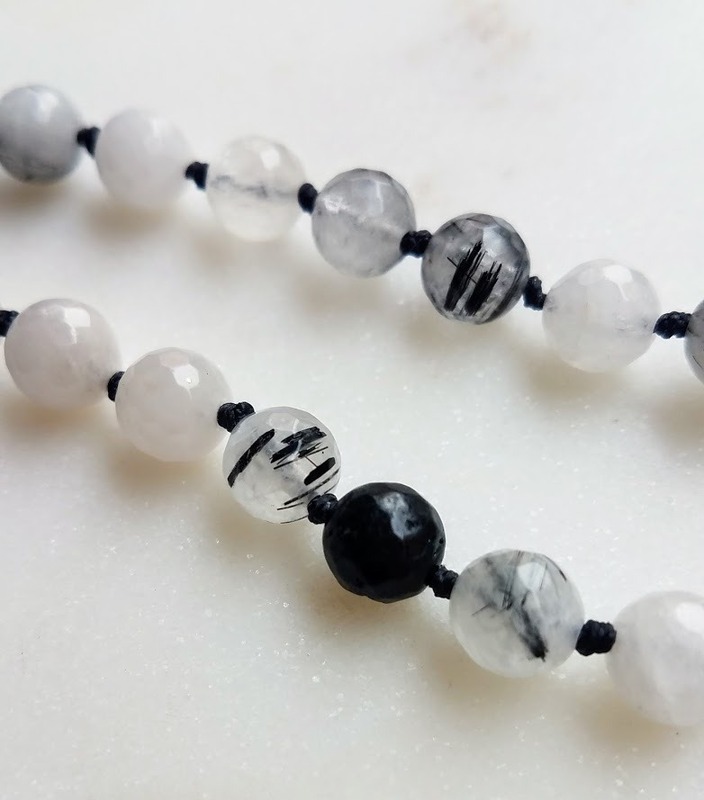 They encourage a large amount of light to encircle your body, and this will heal you on many levels. The addition of this light into your being makes these powerful healing crystals. Mookaite is the stone of "here & now" making you appreciate the past, enjoy the present, and look forward to the future. 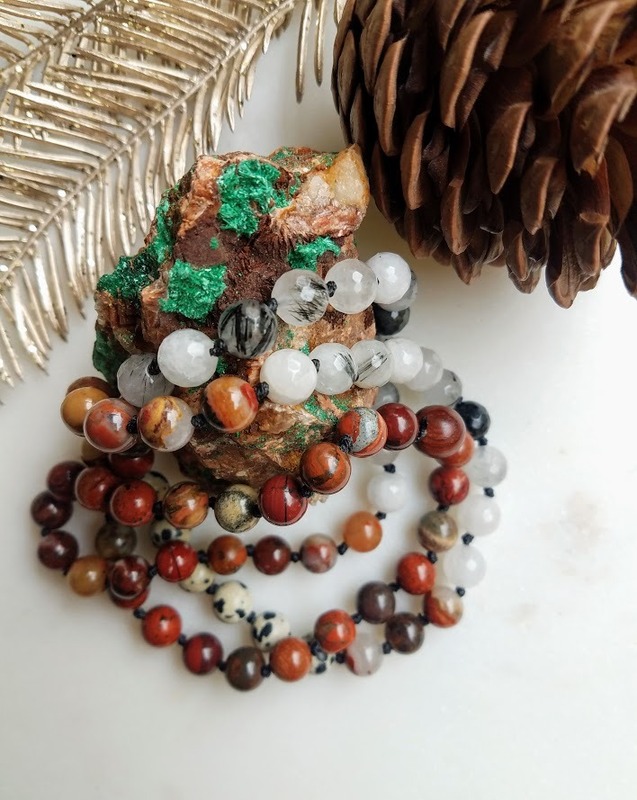 Its healing properties are known to help sharpen your intuition, which is the language of your soul, a wise inner voice that has the ability to just know. 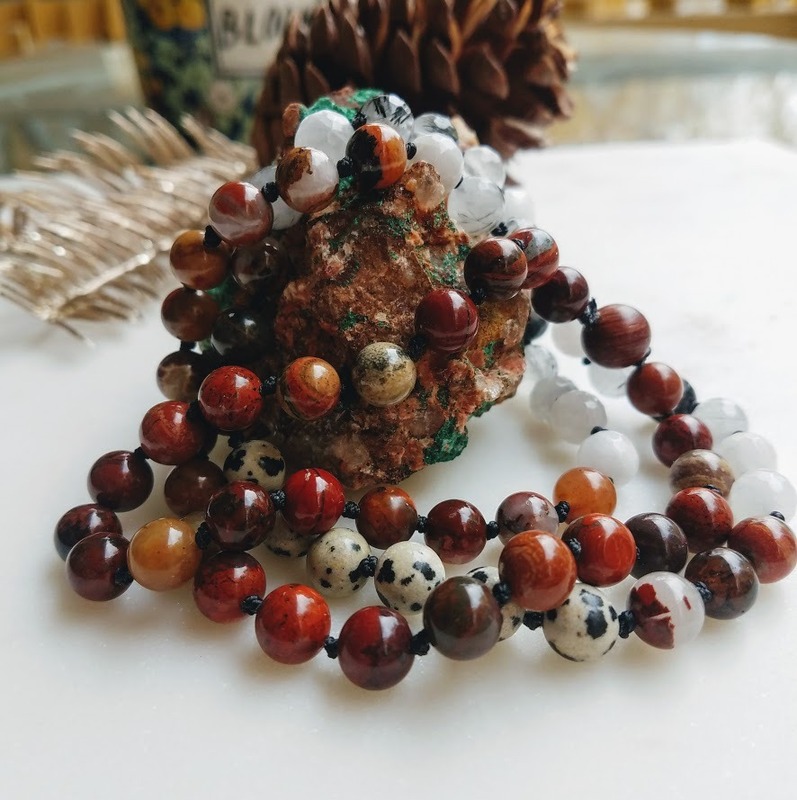 The Mookaite crystal reawakens your inner spirit, the sensible part of yourself that always knows the way towards the light, especially when you're guided by love. 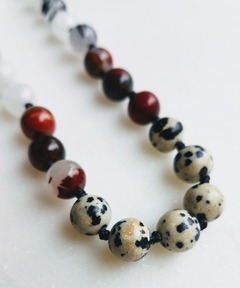 The powerful grounding energy of the Mookaite crystal guides us toward making choices that reflect our hopes, not our fears. And remember--big decisions are the catalyst for action and your chance to channel the playful spontaneity of "carpe diem."